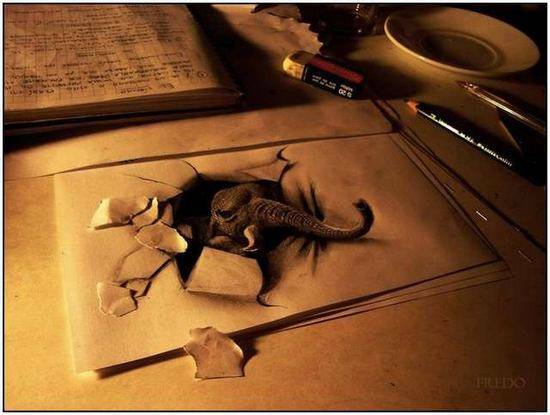 Realistic 3D pencil drawings are always interesting. 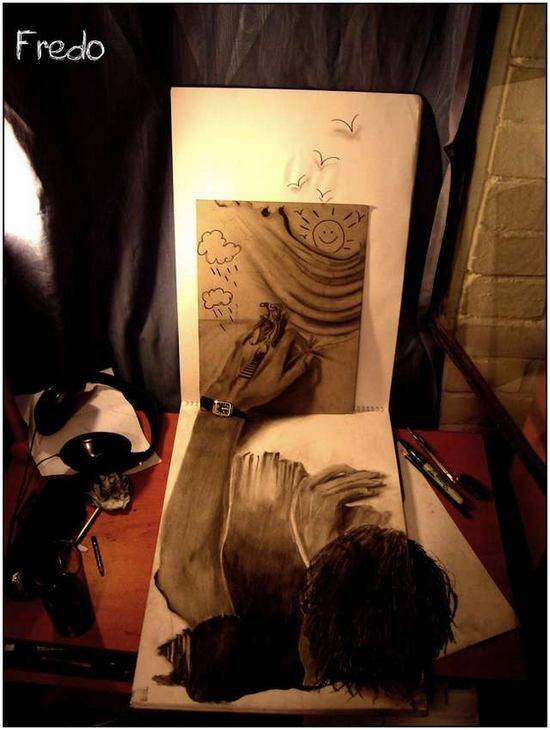 Its just out of this world when we see an artist draft out something on a paper just through drawing, what has been captured by a camera. 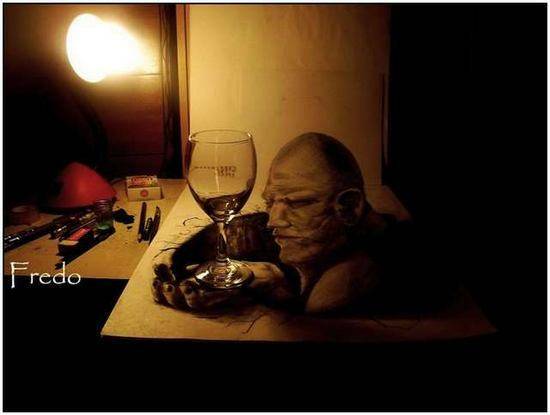 That is 3D Pencil Drawing art, which is very rare and needs hell of creativity. 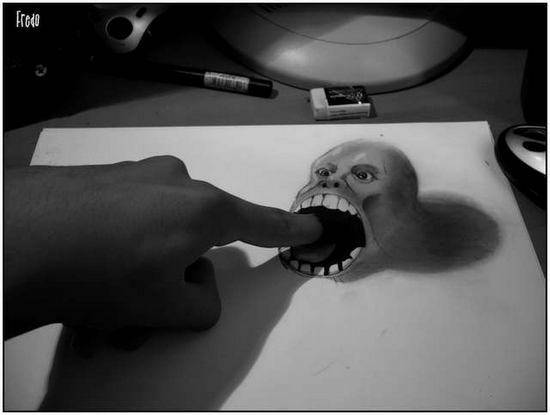 To be frank, you might have seen lot of pencil drawings, but whatever I am going to show you now, is just mind-blowing. 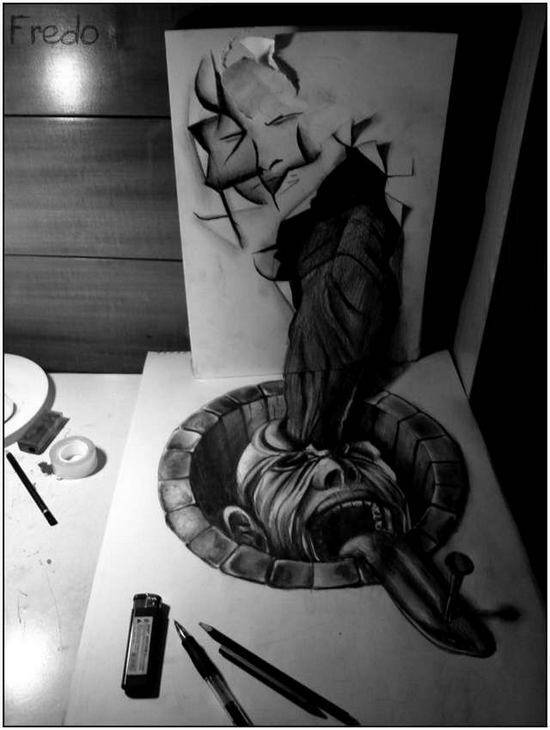 This 17 year kid Fredo has made 3D Pencil Drawings so awesomely that you would die to share it with the world and show the people this art. 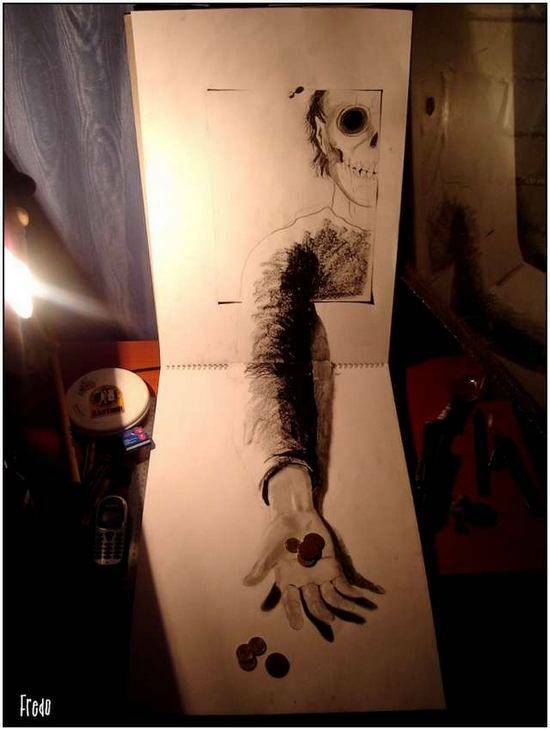 Fredo has started to think more seriously about his drawing skills when he was 15. 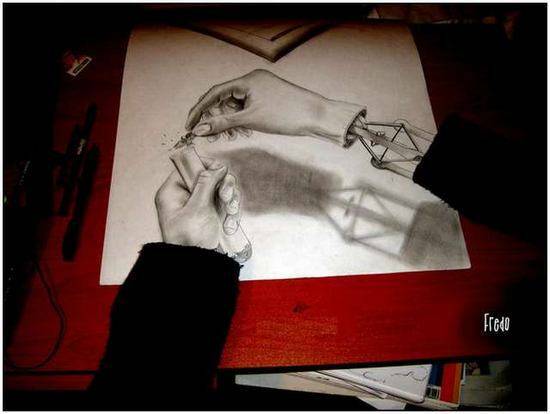 He has learned from some already known artists in this field like M.C.Escher. 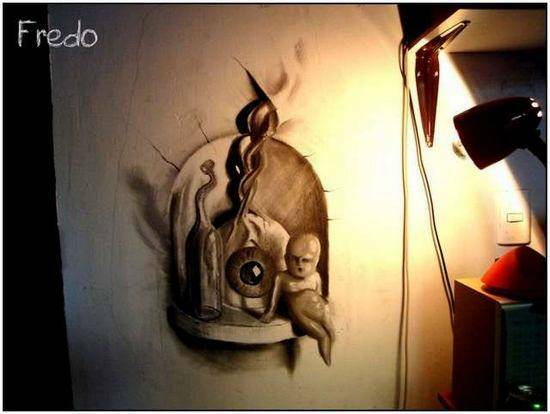 He also says that he is inspired by the work of Rembrandt, Alex Grey and Beksinki. 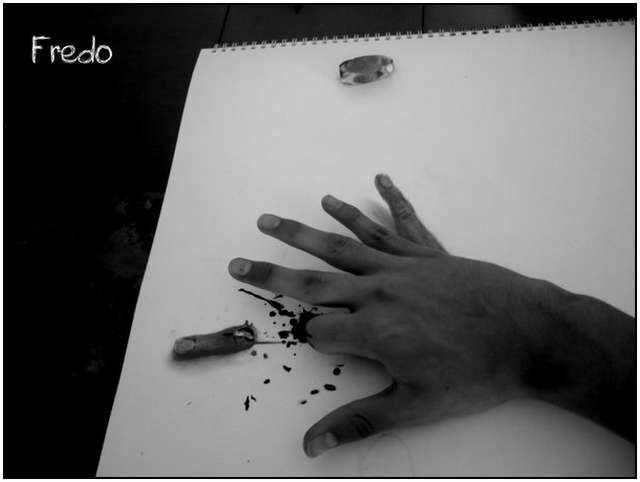 When he was asked about the time which he needs to produce one of his drawings, he said that some of his drawing have took him months while he was drawing them. 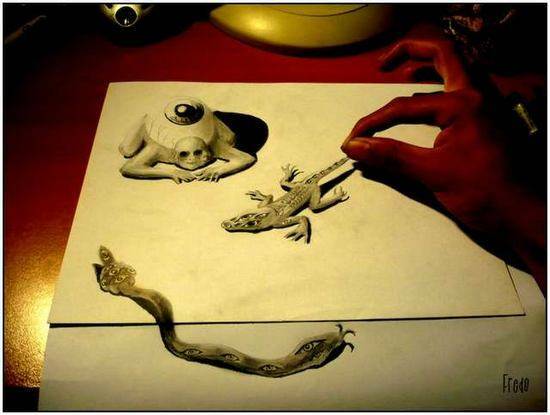 Here you can see some of his 3D realistic pencil drawings which look like they were photographed with camera rather than drawn with hand. Some of you will notice that most of those drawings are pretty scary with some really bizarre details, which surprises me a little bit. 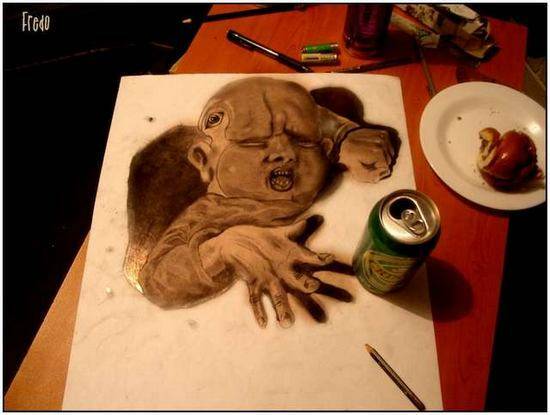 You can ckeck out his portfolio at DeviantArt too. 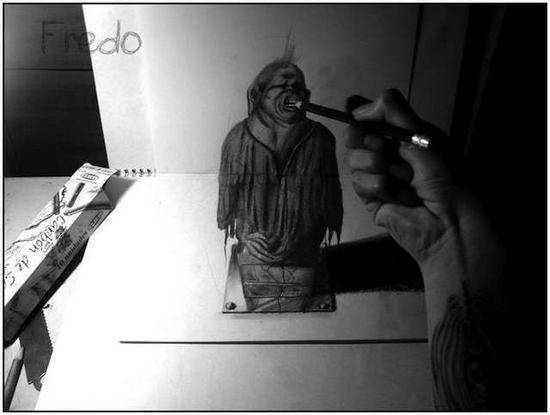 So did you get shocked by these 3D Pencil Drawings ? Do share with friends to show some love 😀 . 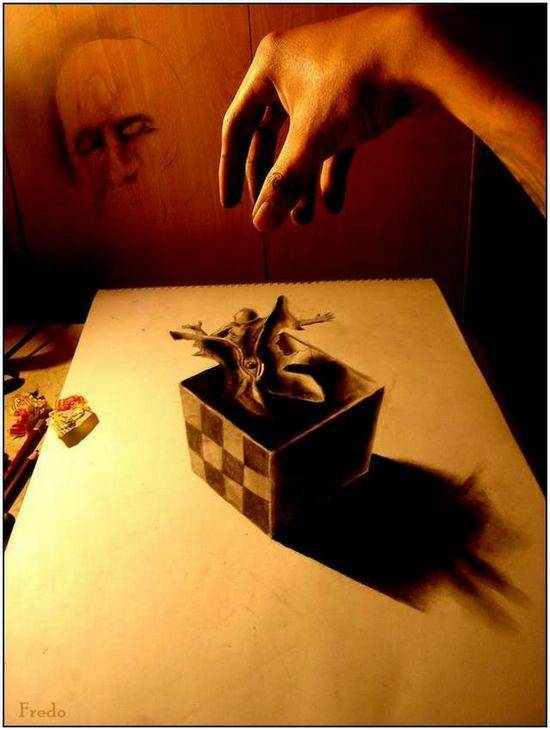 Really creative drawings here! 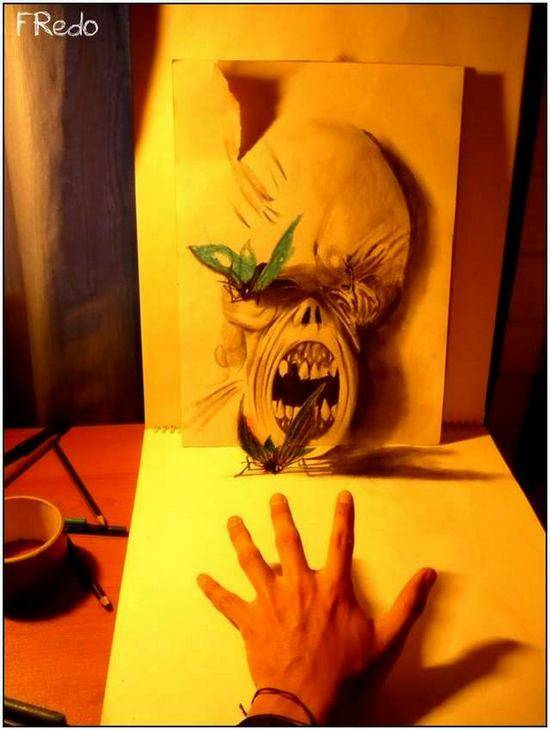 Its nice to see some drawings which aren’t just the usual over blended drawings of celebrities. 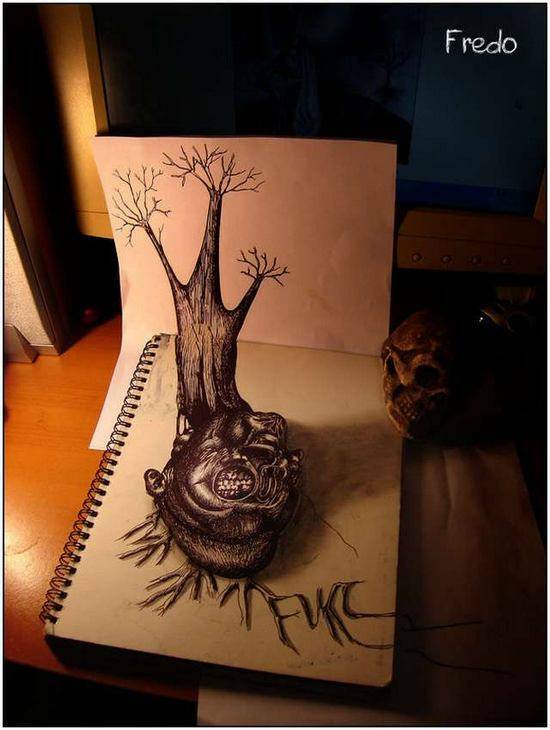 I really like the use of dark shading as well. In my drawings I use Fineliner pens with the cross hatching technique which I find really good for getting tone. 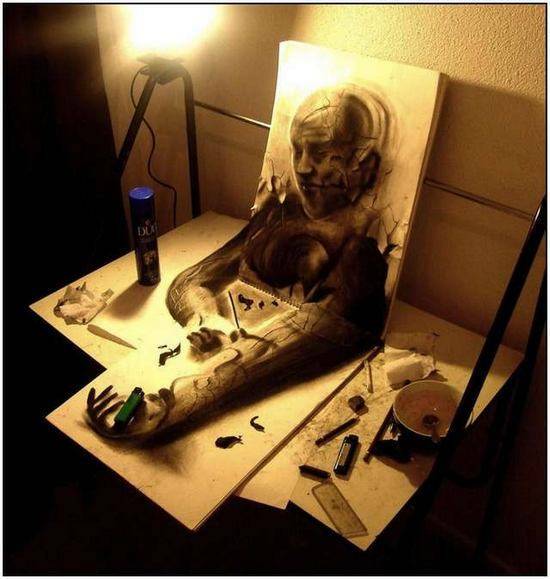 This guy is so young as well so his work can only get better!